EXCLUSIVE! "Happiness is a cup of coffee and a really good book." Who can argue with that? 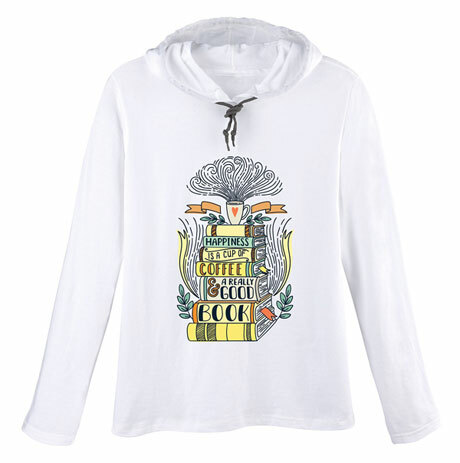 A shirt for the woman who loves to read, long-sleeved hooded tee is lightweight 100% cotton. Sizes S-2XL. Imported.